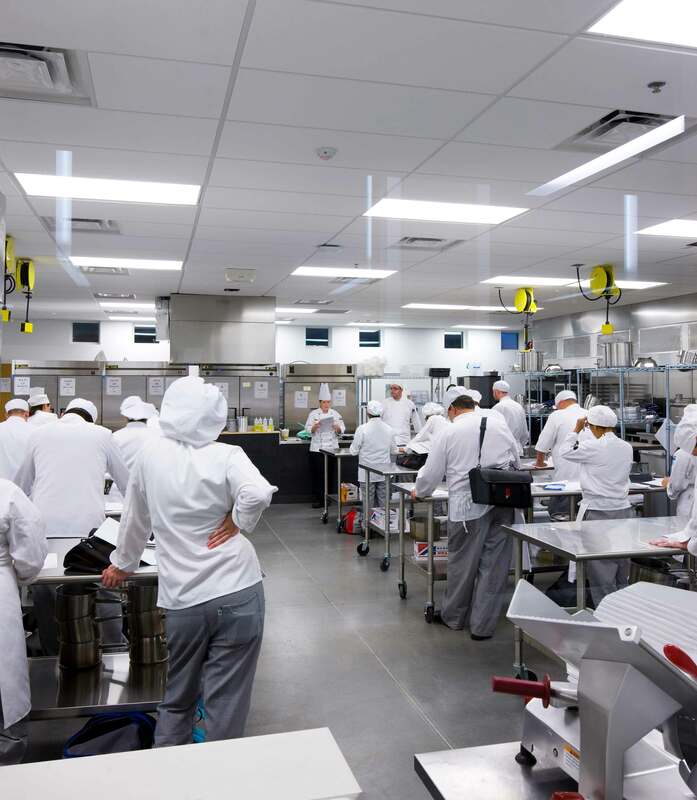 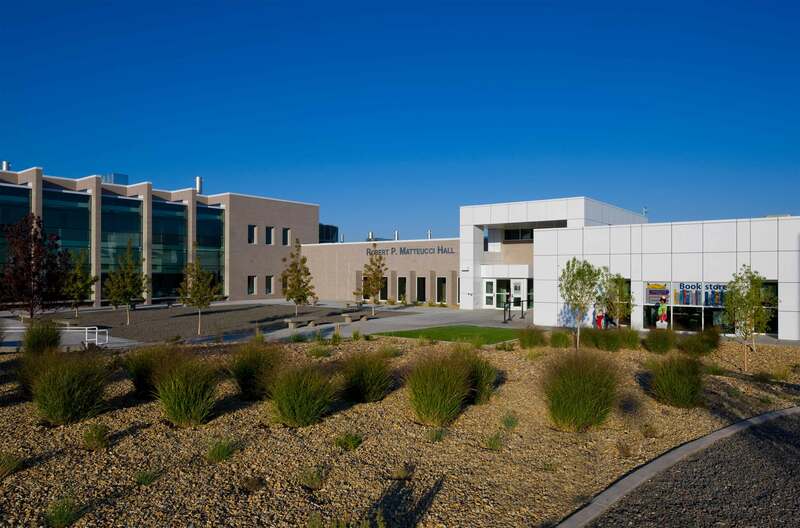 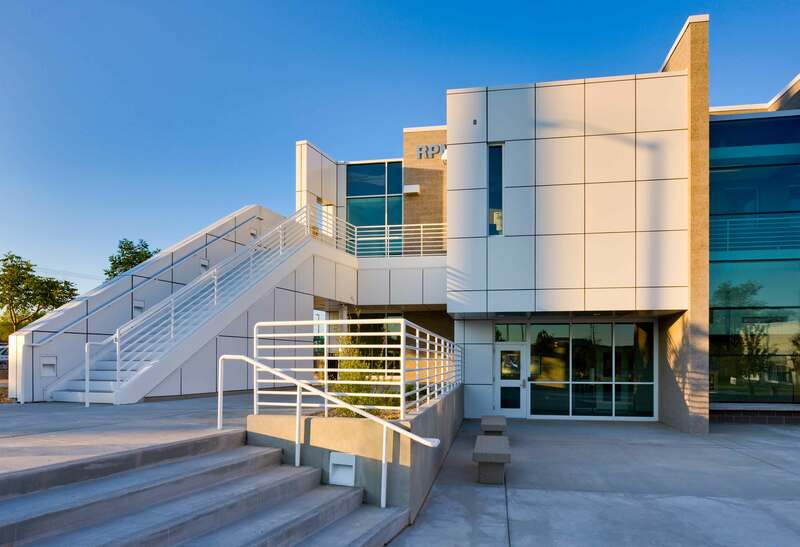 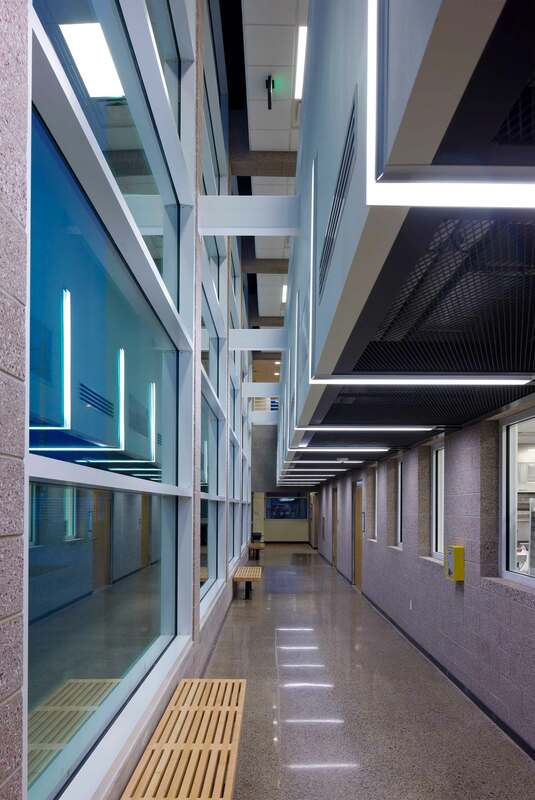 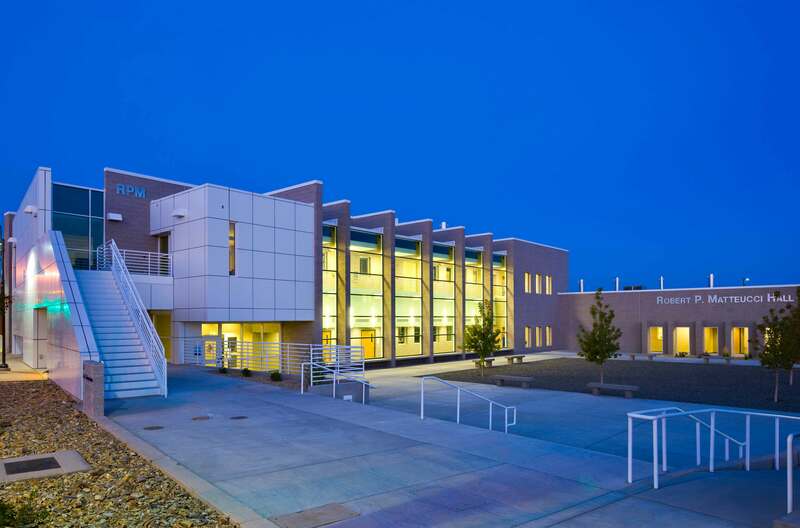 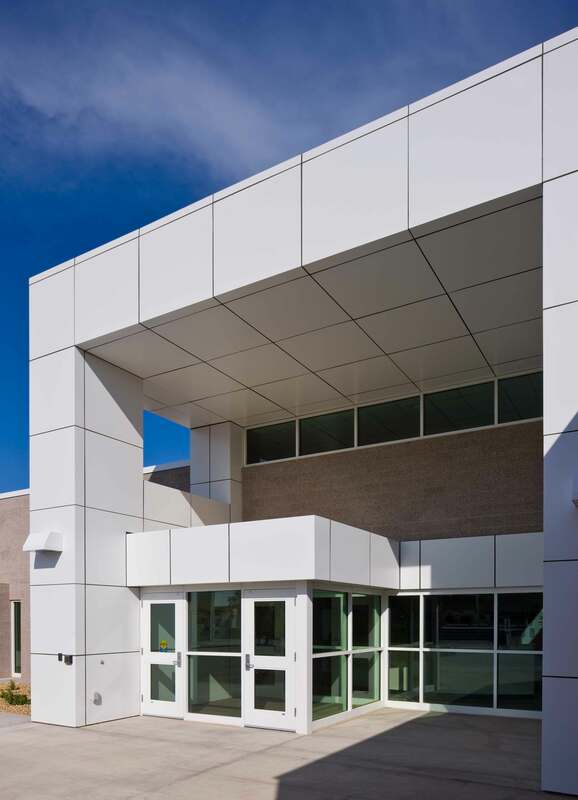 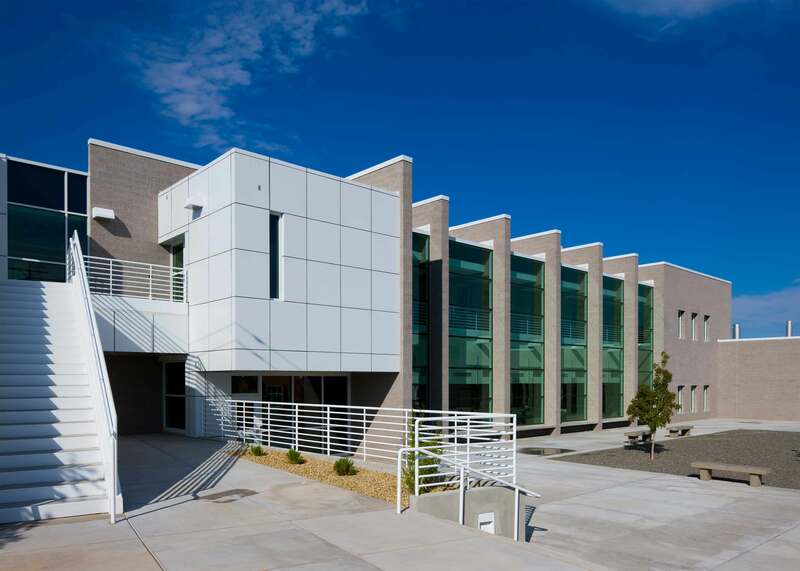 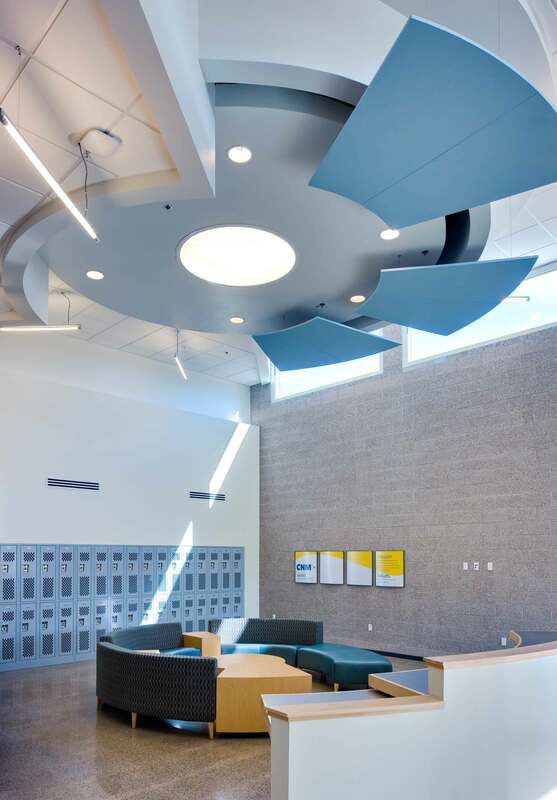 The 25,000 sf Culinary Arts Facility is a new two story building on the Central New Mexico Community College’s (CNM) main campus. 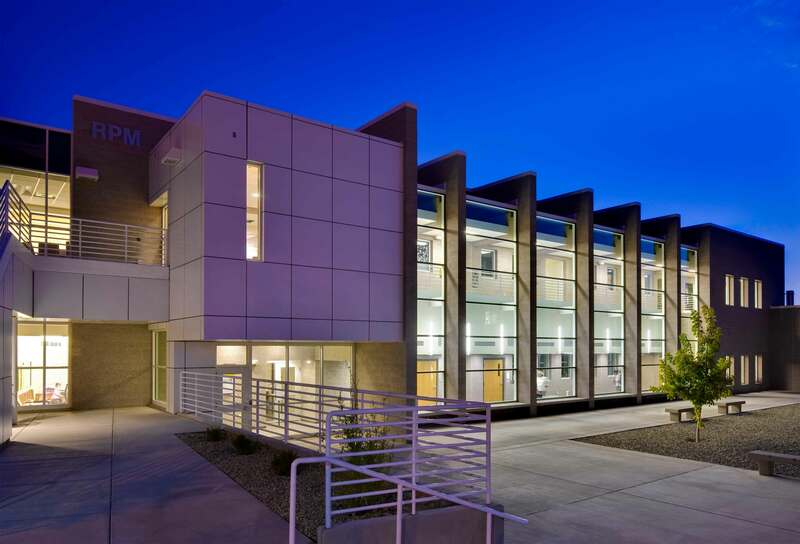 It houses culinary labs, classrooms, and administration offices. 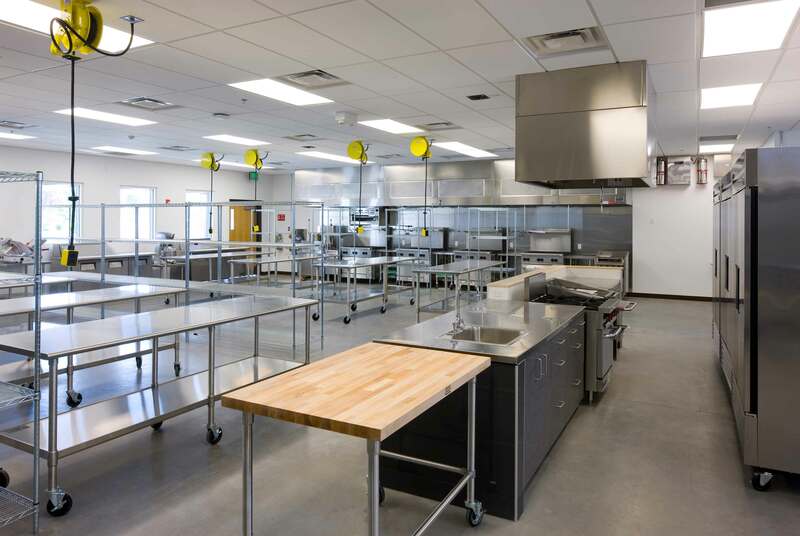 Connected to the culinary arts facility, is a 10,000 sf single story space that was renovated for use as the new bookstore. 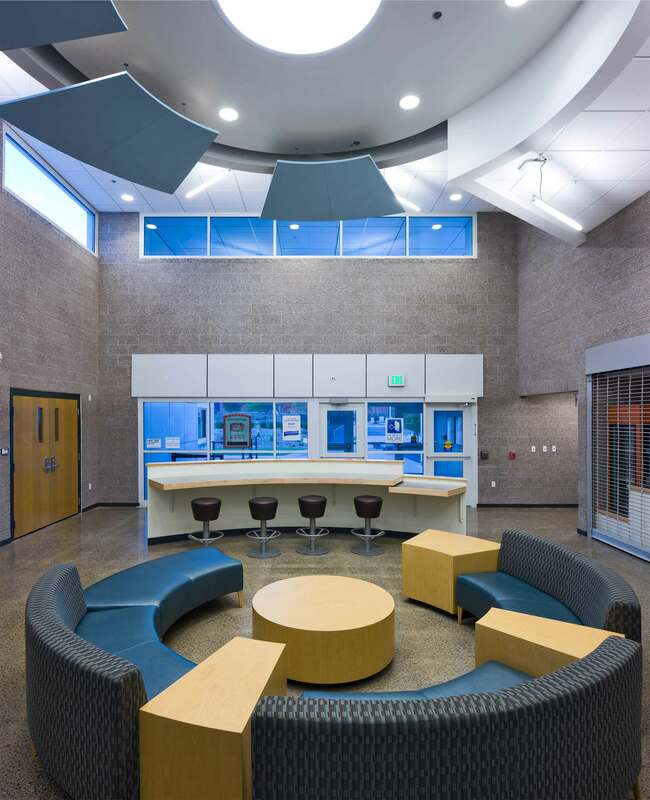 The existing 18,000 sf bookstore was renovated into administrative offices and classrooms. 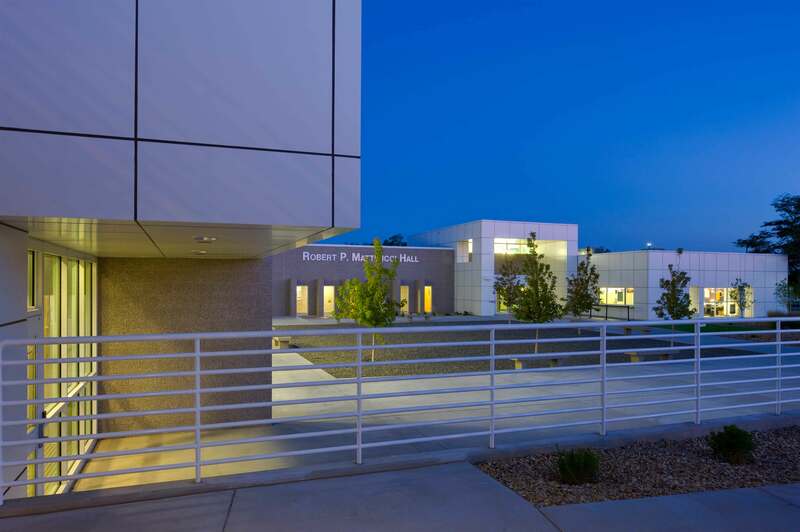 The new and existing facilities are connected with a common entry and service yard. 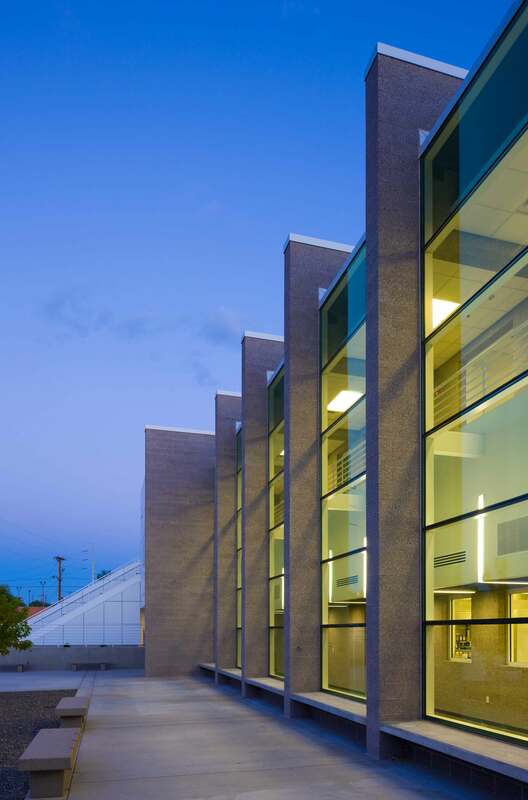 Exterior courtyards and pathways connect the new and existing facility to the main campus.